Thai hospitality is renowned around the world. It's a fact of which Thais are very proud. The quality of hotels and the standard of service are equally famous. 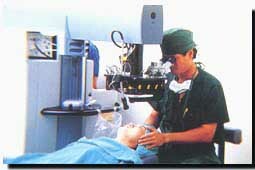 What is not known however, is the exceptionally high standard of Thailand's private hospitals. They are adding a new dimension to Thailand's tradition of hospitality. Overseas trained doctors, highly qualified multi-lingual medical staff, the latest technology; you will get a pleasant surprise to find how low the fees are when compared to similar services in Australia, America and Europe. have your eyes laser -corrected.